This web site on Gladys L. (née Schwert) Prawel is under development. We welcome your input, stories, photographs, documents, and other resources. Gladys was born on April 7, 1910. 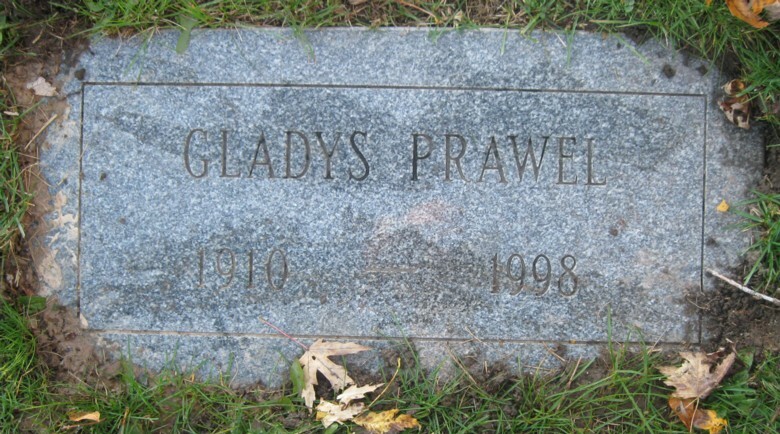 Gladys married Eugene F. Prawel, who was born on December 12, 1909. Gladys died on May 1, 1998. At the time of her death, she and Eugene resided at 1714 Kensington Avenue in Buffalo. Eugene died on March 18, 2009. They are interred in Lot 18, Location 3, Evergreen Section, Buffalo Cemetery (Pine Hill), Cheektowaga, New York. John Andreas Schwert: Born 1888; died 1947. Lillian (née Stein) Schwert: Born 1885; died 1961. Joyce (née Prawel) Klaasesz: Living? 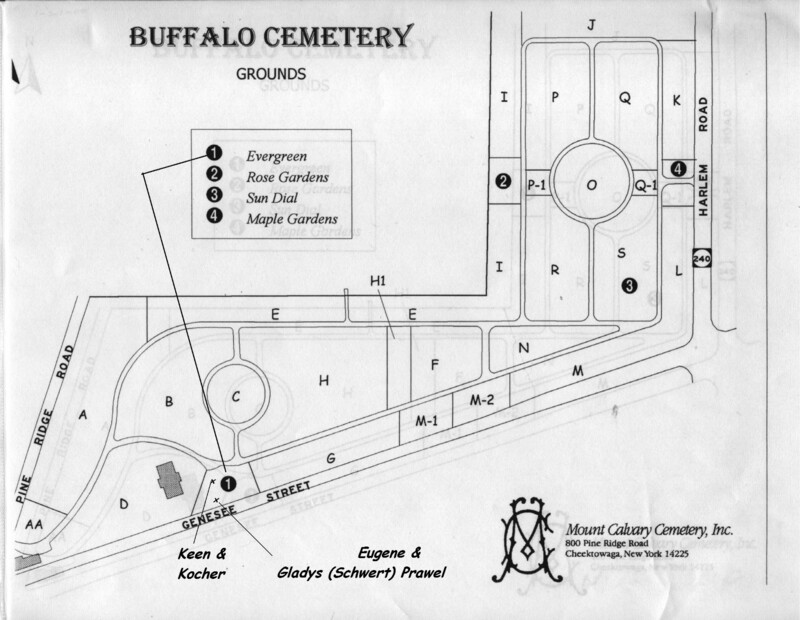 General location of the gravesite for Gladys (née Schwert) Prawel, Lot 18, Location 3, Evergreen Section, Buffalo Cemetery (Pine Hill), Cheektowaga, New York. A map to locate the gravesite is available here. 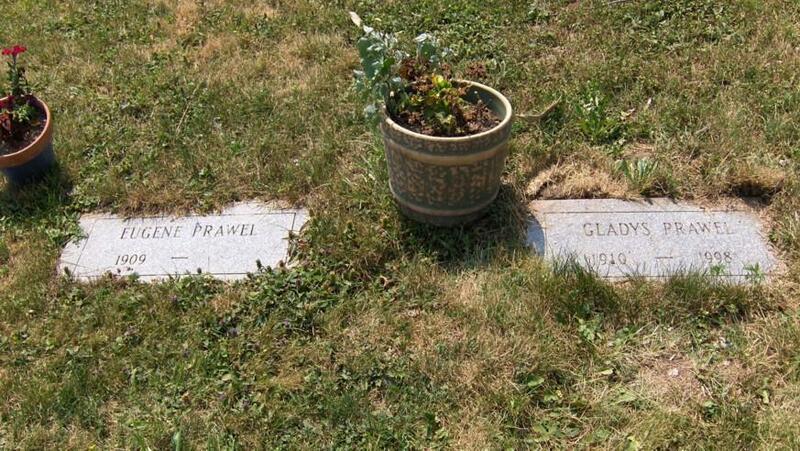 Grave markers for Gladys (née Schwert) and Eugene F. Prawel, Lot 18, Location 3, Evergreen Section, Buffalo Cemetery (Pine Hill), Cheektowaga, New York. Grave of Gladys (née Schwert) Prawel, Lot 18, Location 3, Evergreen Section, Buffalo Cemetery (Pine Hill), Cheektowaga, New York. Grave marker for Eugene F. Prawel, husband of Gladys (née Schwert) Prawel. 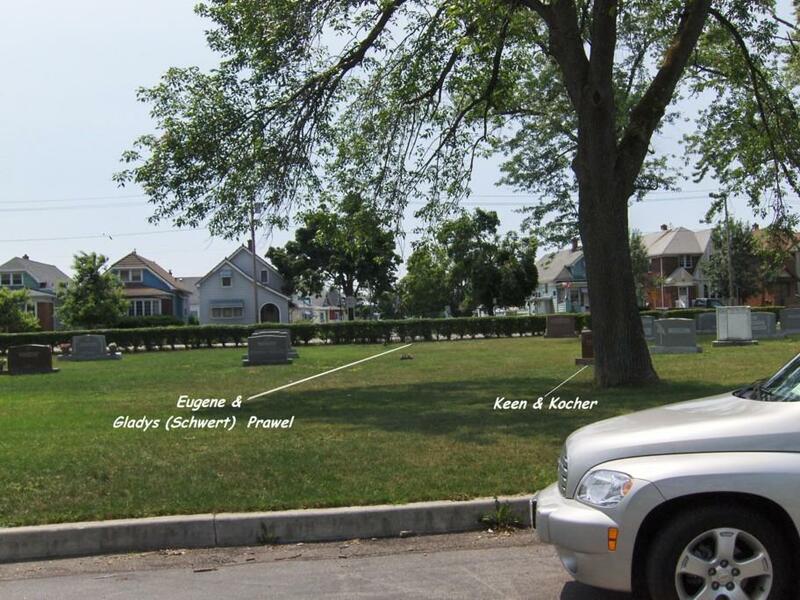 Lot 18, Location 3, Evergreen Section, Buffalo Cemetery (Pine Hill), Cheektowaga, New York. 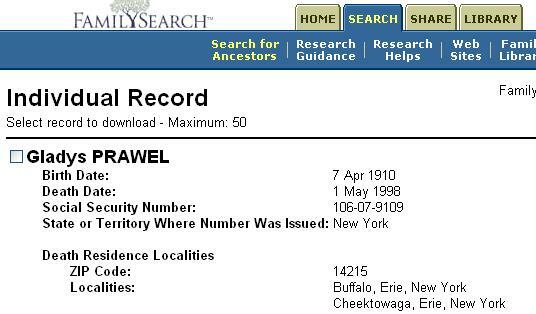 Social Security Record: Gladys L. (née Schwert) Prawel, born April 7, 1910. Died May 1, 1998. Obituary: Gladys L. (née Schwert) Prawel, died May 1, 1998. 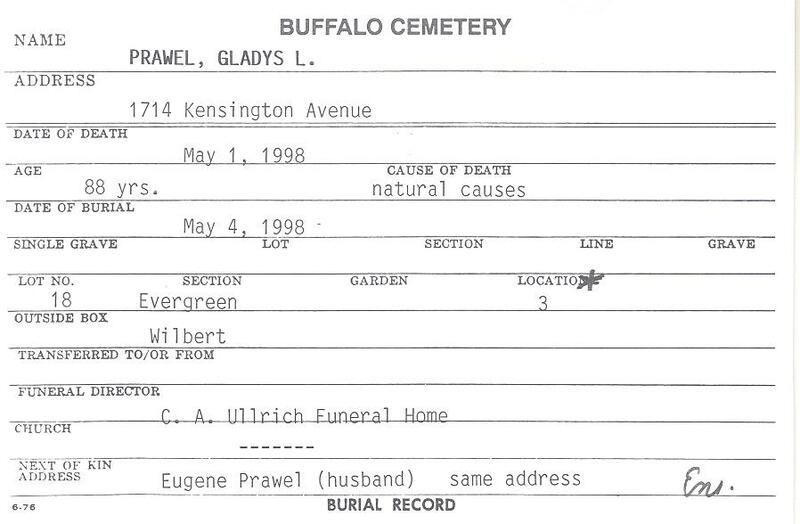 Interment Record: Gladys L. (née Schwert) Prawel, died May 1, 1998. Interred May 4, 1998, in Lot 18, Location 3, Evergeen Section, Buffalo Cemetery (Pine Hill), Cheektowaga, New York. 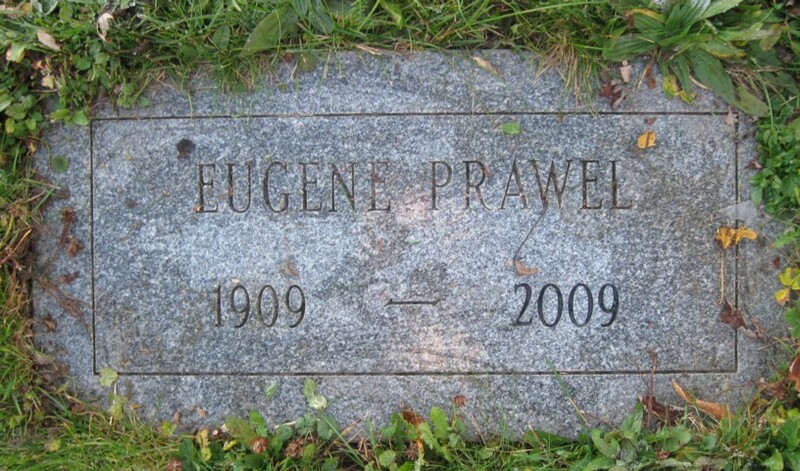 Social Security Death Index: Eugene F. Prawel, born December 12, 1909. Died March 18, 2009.